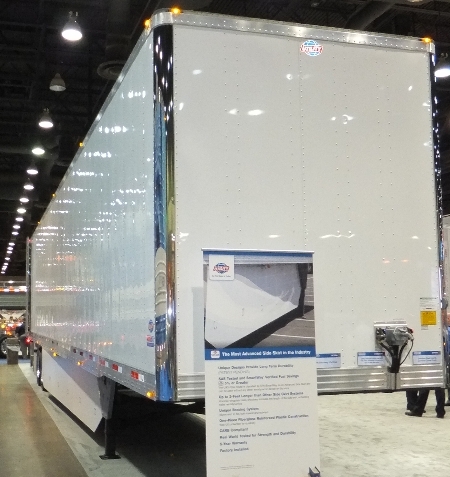 Experienced with tradeshows, expedited, specialized carrier, and general freight. Transfleet is a diverse carrier, and conforms to your needs to create a personalized shipping solution for your company. Call for rate quote, detailed equipment needs, and truck availability. "New Air Ride, Aerodynamic Trailers "
TRANSFLEET, Inc. is a midsize fleet of highly qualified drivers that use the latest technology and equipment to provide quality services for our customers. Based in Mid- Michigan, TRANSFLEET serves automotive, parts manufacturers, furniture, food and beverage and other industrial centers. "We are there for you as a driver and our customers 24/7."